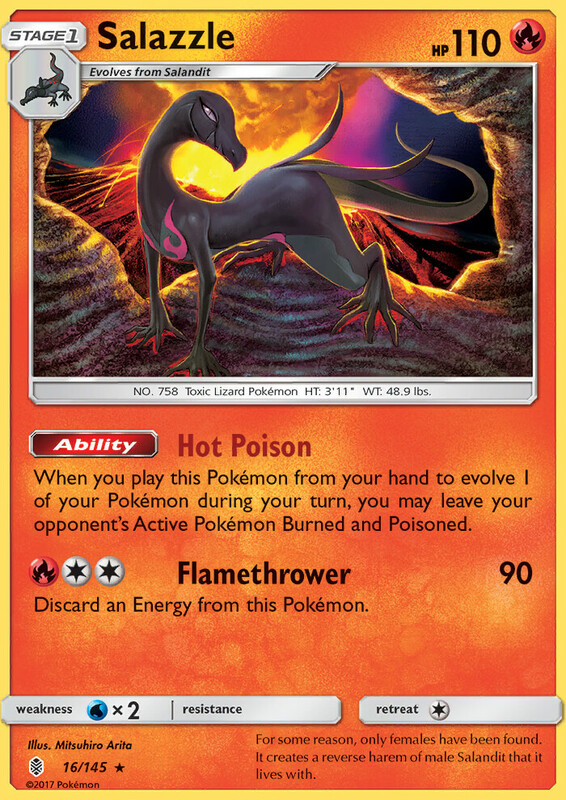 When you play this Pokémon from your hand to evolve 1 of your Pokémon during your turn, you may leave your opponent’s Active Pokémon Burned and Poisoned. [R][C][C] Flamethrower: 90 damage. Discard an Energy from this Pokémon. 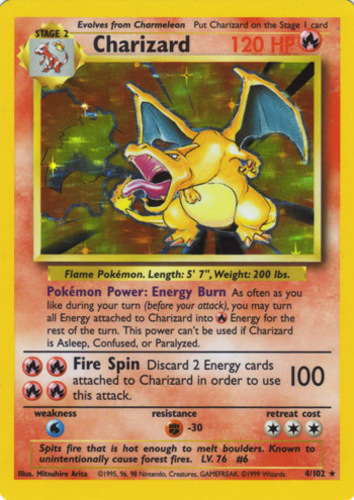 Card art was one of my favorite parts of the Pokemon franchise when I was little/still collected cards. It was always fun to looks at the different styles and try to recreate them. "It creates a reverse harem of Salandit that is lives with."